The porch or the foyer is the space where you welcome your guests and make them feel at home. This is where we express ourselves and tell the world who we are. In design terms, this space needs to have a personality of its own even as it makes a statement in terms of functionality. 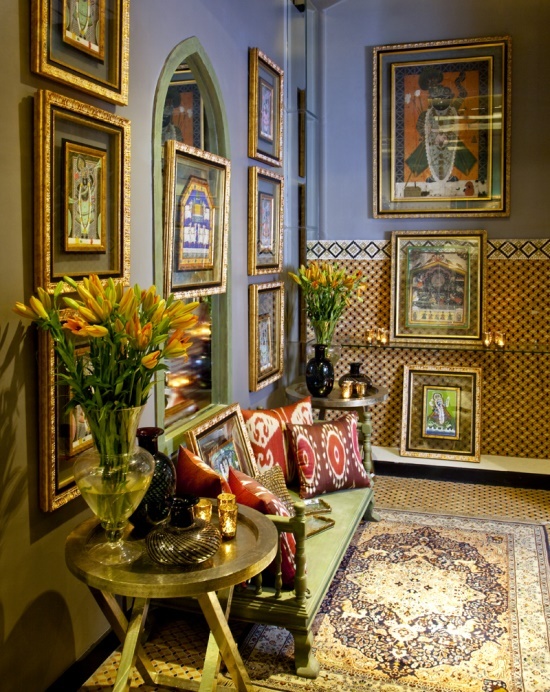 Doing the exotic is like layering your space with the luxury of timeless design and creating a rich story as soon as your guests step into your home. Find out how you can bring in some exotic magic! Do the Exotic: The classic and the exotic meet here seamlessly. I especially love the way this bureau gets dressed up with muted tones and an understated pattern. 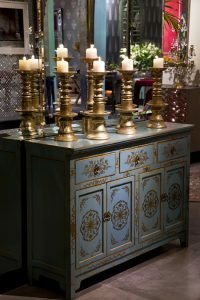 The colourful piece is just right in this dimly lit space with the candle stands looking stately on their perch on the bureau. The dramatic statement is one that makes this entryway truly shine. The cupboards below double up as storage. 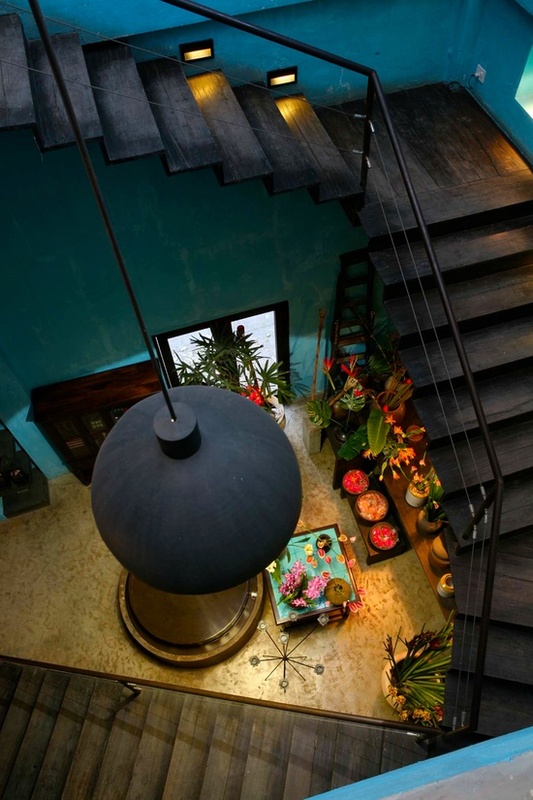 Wrap Around Statement: If you have a gorgeous staircase in your home, then flaunt it with spiffy lighting and plenty of drama in the centre. 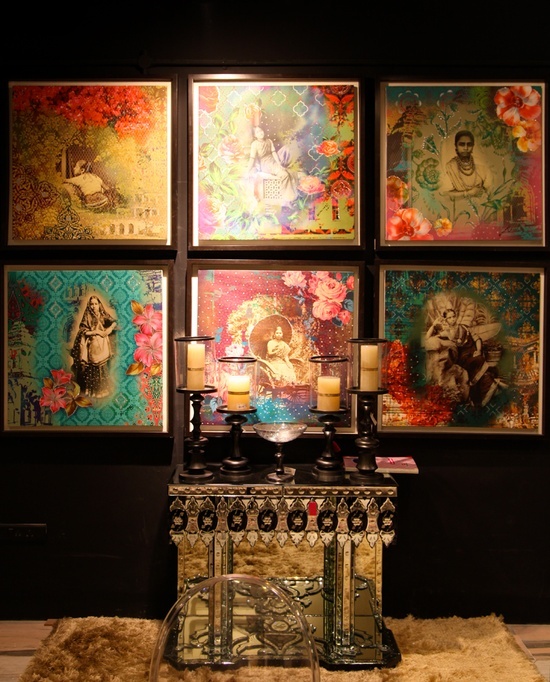 Let a colourful rug or mural based table top with lots of brass pieces do the talking. 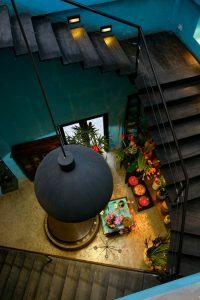 I love how whimsical this looks in terms of the wrap around staircase and the pops of colour you see when you look down. As you ascend the stairs, you also see a different wall colour for each landing, which acts like well planned layers of solid and brooding personality in this space. An industrial chic lamp hangs down the centre for a subtle yet dramatic effect. 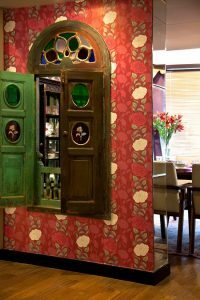 Colour Me Vibrant: Now who wouldn’t love a charming installation like this one? 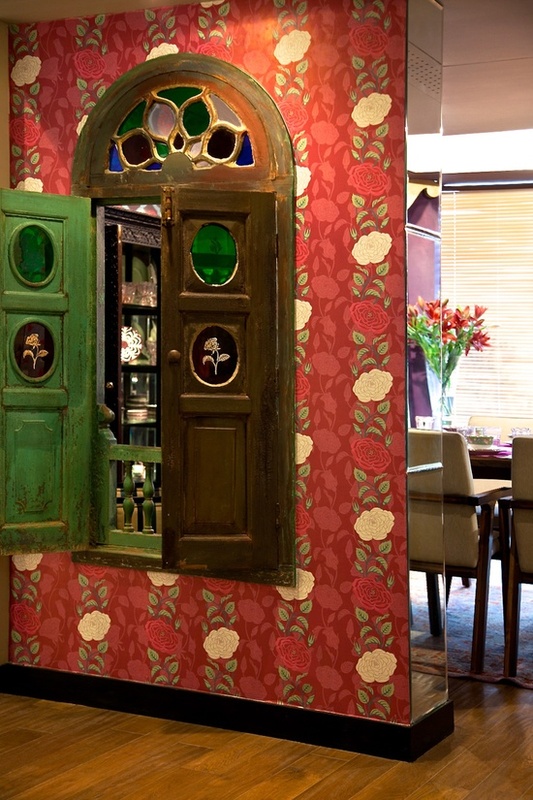 Create this faux window and layer with wallpaper and a vibrant wooden fixture in your foyer. Give your guests a peekaboo into your home and let the old school windows create an aura of fun. The wallpaper and windows are a fitting contrast with each other as they seek to lift the otherwise subtle surroundings made up of wooden floors and neutral furnishing. This kind of an arrangement does not merely give you some privacy, but it also makes the space look larger. Give it a Rest: If you have some space in your foyer, then you can install a bench like this one with a rug underfoot and some cushions on top. The designers have put together a lot of frames in gilded tones with vintage Indian fabric and prints sandwiched between glass sheets. 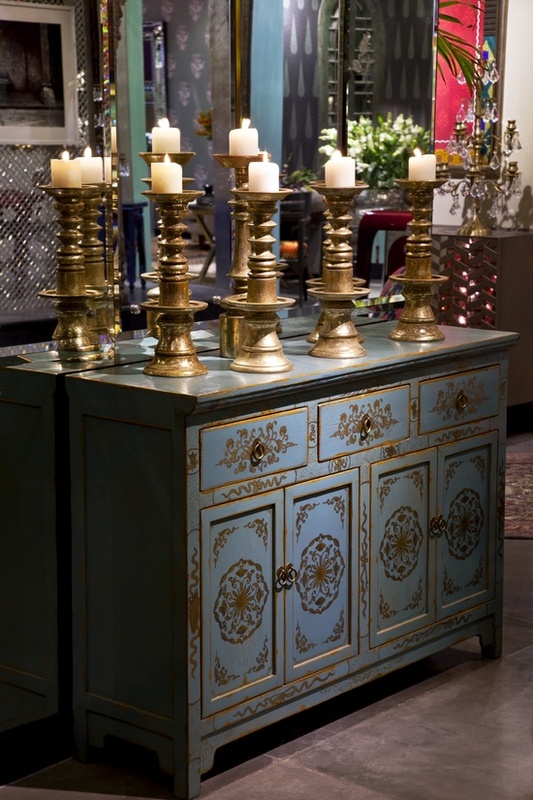 With the modern folding table spray painted in the same gilded tones, this becomes a go to royal corner. What an awesome way to explain this-now I know evgnethiry!